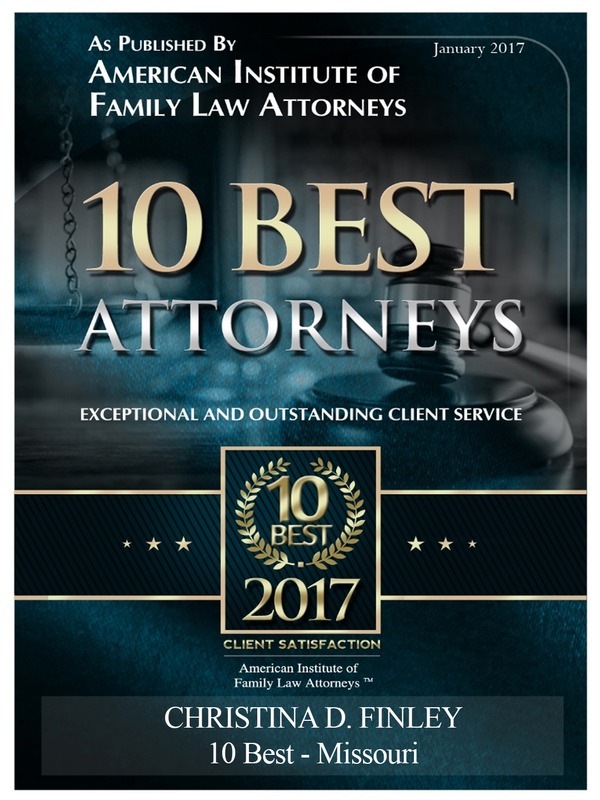 The American Institute of Family Law Attorneys has recognized Christina D. Finley on its list of 10 Best Family Law Attorneys for Client Satisfaction in 2016. The institute is a third-party attorney-rating organization that publishes an annual list of the top 10 family law attorneys in each state. Attorneys who are selected to the list must pass AIOFLA’s selection process, which is based on client and/or peer nominations, research and AIOFLA’s independent evaluation. AIOFLA’s annual list was created to be used as a resource for clients during the attorney selection process.